Gives a great shine in very little time! S100 Carnauba Paste Wax is a remarkable easy-to-apply paste wax! It wipes on and off easily and leaves a vivid shine. S100 Carnauba Paste Wax protects motorcycle paintwork with a blend of pure carnauba wax and beeswax. The chemists at S100 searched from the depths of the Black Forest to the peak of the Alps but they couldn't find an easy-to-apply carnauba paste wax. So, they developed it, and you'll love it! S100 Carnauba Wax is a hand-poured blend of German waxes, proprietary ingredients and pure Brazilian Carnauba wax. The result is a wax that goes on and comes off with incredible ease. There's virtually no chalky, powder residues and it won't stain rubber, plastic, or vinyl trim moldings. Great shine. No chalky residues! Bottom line, S100 Carnauba Paste Wax gives a great shine in very little time. Spend more time riding your motorcycle than waxing it! Tip: Before you apply S100 Carnauba Wax, pre-clean paint with S100 Shine Enhancing Cleanser. It will remove light imperfections and enhance the gloss so you get the best possible shine out of your wax. Was researching waxes and came across P21 and S100. Read the reviews and as some have stated here, there doesnt seem to be any difference beteen S100 & P21, except the price. I opted to got with the cheaper S100 and could not be any more pleased. Washed and waxed. 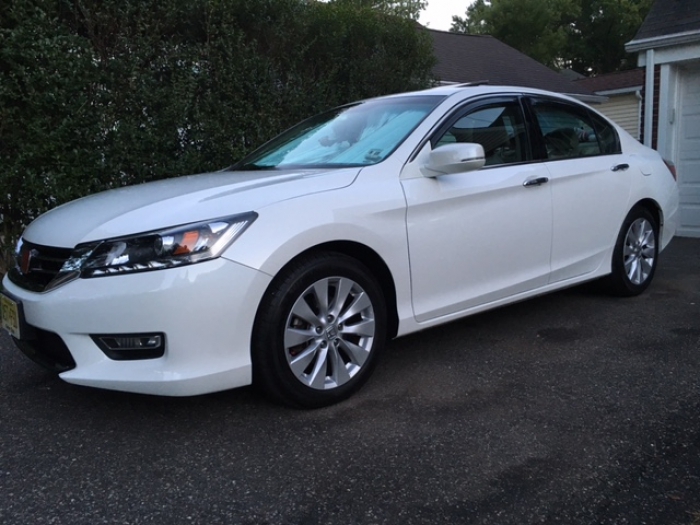 Went on really easy and came off really easy leaving behind a great shine on my '13 white orchard pearl Honda Accord EXL V6. Cannot come t on the durabilit, but if I get two month of protection from it, ill be happy. You cant beat it for the price. Will clay bar, Polish, seal and wax again in about a month to prepare for the colder months. Will use Chemical Guys White polish with a couple of coats of Chemical Guys Jet Seal and another couple of coats of S100. Will update with pictures. Get this wax!!! ProsGoes on smooth, come off smooth, leave a great shine. Bought this wax with the mindset of a Harley owner. Expensive even for a Harley user. Pros Works well. Has a great shine. Cons Needs more towel rubbing than expected. Can NOT be beat for the price. I'd say this is more effective than wax costing twice as much. It goes on silky smooth and very good protection. Only downside worth mentioning is not to leave it on for too long or it can be slightly difficult to buff off. ConsNot really a con but needs to be buffed off relatively quickly. Have used P21s wax in the past and loved the results. Found out about this wax on Autogeek and decided to give it a try. Extremely easy to use - you can apply and buff off as instructed, or let it dry to a haze. Either way it is very easy to remove. Gives amazing depth of shine on my dark gray Mini Cooper. Price is hard to beat and a little goes a long way. My only complaint is I am not sure it is as durable as some other waxes. After 2 weeks of regular rain storms I noticed it wasn't beading very well and I was starting to see some water spots. To be fair, I don't garage my car and that is probably a tough task for most waxes. Good value, I highly recommend. This wax gives a nice wet look and can last several weeks, but the problem I have with it is that it likes to attract dust. Dusty roads will attempt to camo your car, but a quick rinse usually dislodges most contaminants.